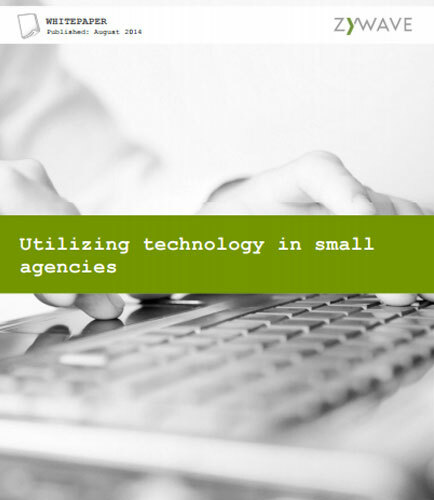 "Utilizing technology in small agencies to your advantage"
For any small insurance agency, deciding to make the investment in technology is a risk. Technology has changed the insurance game, and small agencies can benefit from having sophisticated, yet simple technology embedded in their culture from day one. As the insurance market place changes, it is going to make it more difficult for brokers who do not have technology as time goes on. What is technology in the insurance industry and what can it mean to a broker, especially a small agency? A look at small business security perceptions and habits at each phase of business growth: Small business security continues to be a huge focus for us here at CSID. To better understand how small businesses are approaching the threat of cyber crime, CSID surveyed 150 small business owners across the United States on their concerns about cyber security and their approach to risk mitigation and response. This Executive whitepaper on corresponding small business network security survey results will explore the security risks businesses face during the different stages of its growth, how small business owners are currently addressing these risks, and what businesses can do to mitigate these risks. Key takeaways from this whitepaper: How small businesses perceive social media as it relates to business security & reputation? Which threats in small business security are of most concern to it? What small businesses know about business credit scores? What steps are taken by the small businesses to protect themselves against cyber threats? Explore this whitepaper that outlines CSID’s small business security survey results, provides a more detailed look into how small business owners feel about business security and details what actions they are taking to protect against these threats as a business grows.